Juana Azurduy was born in the city of Chuquisaca [Sucre] on March 8, 1781, and not having known her father, she took the surname of her mother, Petrona Azurduy. Doña Petrona gave her daughter a careful and strict religious upbringing, almost monastic, as in those times, contradicting her bold character and manly spirit. At 16 years of age was admitted to the monastery of the Teresas of Chuquisaca, and having failed to come to terms with a dark life that sickened her soul and beat down her spirit, she fled the convent after five months of being cloistered. Juana was not born to be a nun, was born to the battlefields, had not come into the world to pray, had come to curse. Her hands did not soften in sackcloth and rosary but got calluses from the reins and sword. In 1802 Juana had met Manuel Ascencio Padilla in Chuquisaca, a bizarre man that was 28 years old, his birthplace was Moromoro, Chayanta province. Padilla was intended to represent a noisy role in the theater of war of American independence, perhaps sensing this, Juana, who admired since childhood heroes and warriors, joined him in marriage. Declared the 15-year war, Manuel Ascencio Padilla took an active part in it, being accompanied by his wife in all or almost all their military adventures. If Juana had endearing love for her husband, she also felt an equally sacred love: love for the freedom of their homeland. She was the amazon rider of the patriot guerrillas who rose in Upper Peru, after the defeat of the first Argentine expeditions. As a rider, causing the admiration of gauchos centaurs that came with these expeditions. Dressed in men’s uniform to enter battle; white mamluk style pants, a red jacket, her hair curled under a military cap with a white to blue rim, deftly handled the sword, saber and rifle and even the cannon, as they had seen her more than once. “Several times wounded, sometimes moribund prisoner, terror of the Spanish troops, comfort for the Patriot scouts, and first and always, a model of virtue as a wife and mother, the chuquisaqueña lady stands adorable on the horizons of Bolivia and annals of America”. The first to attack and the last to leave the battlefield, bold reckless in skirmishes, was pious and sweet in the camps, distributing money, healed the wounded and attending, the ranch slender lady who in happier times was served as a rich landowner. In the short period of six years from 1811 to 1817, this heroic woman attended 23 fights and pitched battles outside countless skirmishes and warfare, fought in the territories of the present departments of Sucre, Potosí , Tarija, Cochabamba and northern Argentina. Then she went to the Argentine provinces, where she continued to command under the famous battle leader Guemes, until she returned to the country in 1825. In reward for her services the Argentine government in 1816 gave her the official title ARMY LIEUTENANT CORONEL. When transmitting this report, General Manuel Belgrano gave her a highly honorable commendation and gave her the sword of his use to complete her military uniform. Source : El Diario, March 8, 1928. 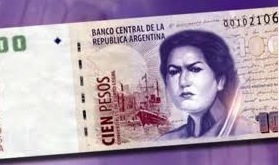 Argentines do honor Juana Azurduy de Padilla more than we Bolivians do… we MUST NEVER forget our heroes!! This entry was posted in Bolivia, Cochabamba, Economics, Politics, Potosi and tagged Argentina, Bolivian hero, Chuquisaca, independence, Sucre, Tarija. Bookmark the permalink.